The Winter Olympic Games were held in Calgary, Canada, in 1988, between Feb 13-28. 57 Nations with 1423 participants competed in 46 events. The Games are spread over 16 days for the first time. Christa Luding-Rothenburger of East Germany is the only athlete to have won the medals in both the Winter and Summer Olympic Games, in the same year. She won the women's 1000 meter speed skating event at the Winter Olympics in Calgary 1988, and seven months later won a silver medal in track cycling in the Seoul Summer Olympic Games. Short track speed skating was a demonstration sport at these games before becoming a full sport at subsequent Games. 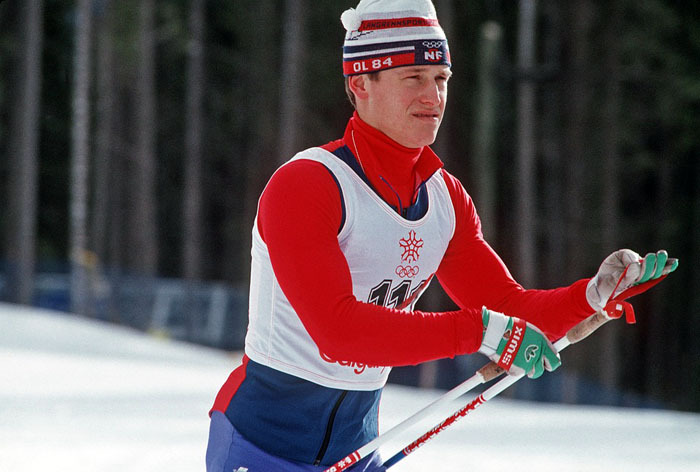 British ski jumper Eddie "the Eagle" Edwards came in last in the 70-meter and 90-meter jumps, and was welcomed home by hundreds of fans in London.